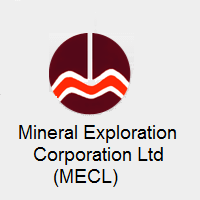 MECL Recruitment 2018 – Mineral Exploration Corporation Ltd (MECL) Job notification for Executive Trainee (Chemist) through GATE 2017.The detailed eligibility criteria and application process are given below. Educational Qualification: M.Sc. (Chemistry) with 60% marks or equivalent. Note: The candidates should possess valid GATE 2017 Score as per above qualification. Mineral Exploration Corporation Limited (MECL), Shortlisting of candidates for personal interview will be done based upon GATE 2017 Scores. How to apply MECL Recruitment for Executive Trainee? All interested and eligible candidates can apply for this position in online from 9 April 2018 to 8 May 2018.